Your bedroom is a place for rest, relaxation and so much more. As one of the most-used rooms in your home, it’s surprising how quickly bedroom upgrades fall by the wayside compared to other rooms. Since your quality of sleep and ability to relax help you get through busy days, it becomes more important than ever to outfit your bedroom to optimize your space—and your state of mind. So clear the clutter, and create an intimate space for a little R&R. You deserve it. Cutting out unnecessary clutter is key to creating a serene space. Are your sleeping quarters a little cramped? No space to expand that walk-in closet? There are plenty of super-stylish ways to add practical storage without sacrificing style. From open, vertical storage for books and accessories on a small wall, to custom shelving that frames your bed and creates a comfy sleeping nook, there are plenty of additions to help keep your things out of sight or carefully displayed for added decor. While color is a matter of personal preference, it’s easiest to create a relaxing space when you work within a similar palette throughout the entire room. Choosing a paint color can be difficult, so go with what inspires you. Work different textures into the mix using quilts or other embroidered bedding, and save pops of your favorite colors for statement pieces like bedside lamps or overhead lighting. Looking for something a little more unique? Try adding wood planks to the wall for a cozy feel, or apply grasscloth wallpaper to make an impact without creating busyness. Wallpaper is making a huge comeback and with good reason. It’s an easy way to add visual interest, and modern textures and patterns have given the concept a whole new feel. An accent wall that complements your color scheme is a great way to add a personal touch to an intimate space. Try utilizing an upholstered headboard or rustic wood for a dynamic design. The bed is the focal point of a room, and it’s a great way to make a statement without introducing more objects than you need. (We’re cutting the clutter, remember?). Even if you’re opting for a minimalistic approach, a simple, clean structure says plenty. 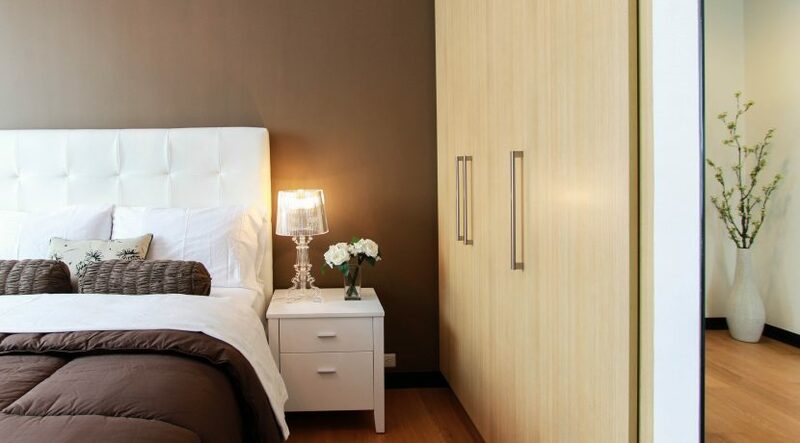 And remember, skipping the headboard altogether in favor of additional storage is another way to utilize that room. Wanting to create a space that feels more organic? It doesn’t get much easier than adding a houseplant to your sanctuary. Whether it’s an overflowing fern that hangs in your favorite corner or you’re cultivating a vertical garden, houseplants add visual interest and enhance air quality. Skip the tired clay pot and update your display with a bold vase, or try a strikingly modern hanging arrangement. Our bedrooms act as our recharge stations, and they should be equipped with the most eloquent components. 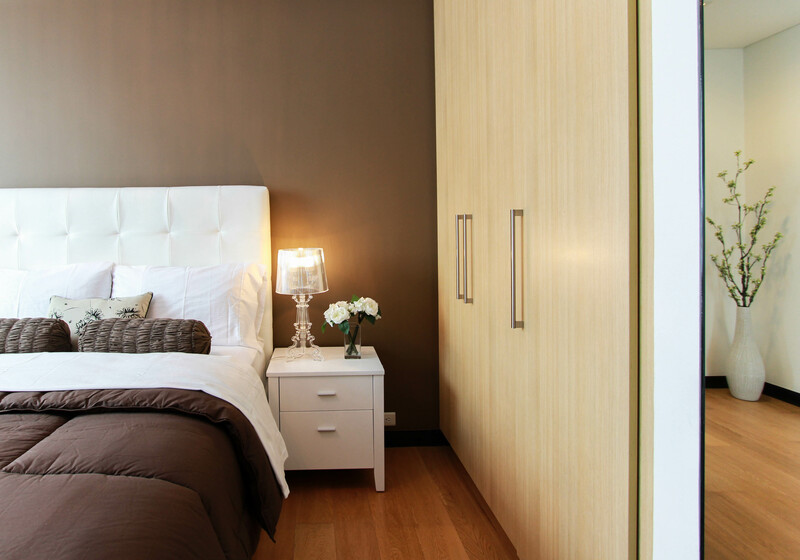 From minor upgrades to complete overhauls, investing in your bedroom’s design is worth your well being.